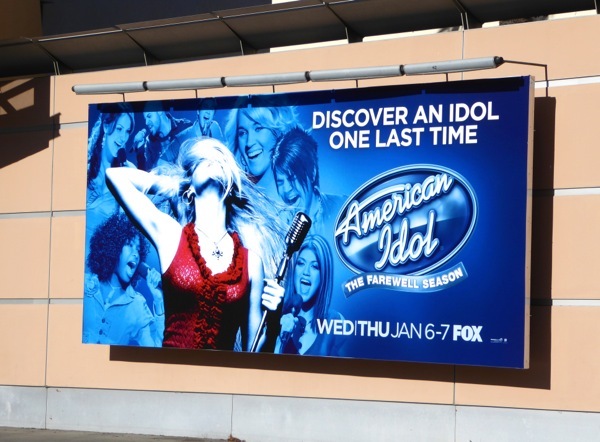 Unlike reality singing competition The Voice, American Idol has been responsible for spawning a veritable jukebox full of international superstars over its fourteen seasons whether they won the contest or not. 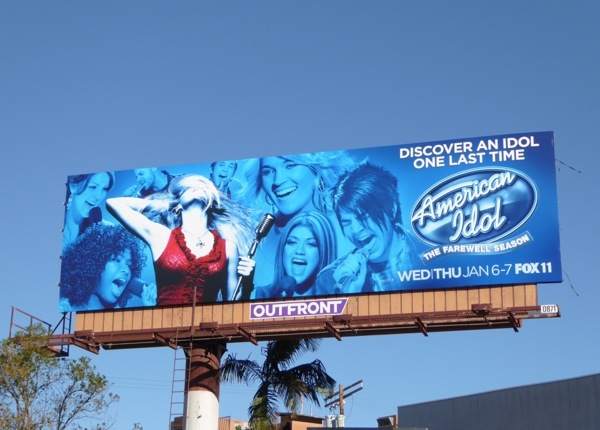 Now, can the final and fifteenth season produce one last 'Idol' to rival the likes of Carrie Underwood, Kelly Clarkson, Jennifer Hudson, Jordin Sparks, Adam Lambert, Katherine McPhee and more besides. Yes, it's time to bid farewell to the talent contest which was almost as famous for the judges and their comments as the hopeful contestants, like Simon Cowell, Paula Abdul, Randy Jackson, Kara DioGuardi, Jennifer Lopez, Mariah Carey, Nicki Minaj, Steven Tyler, Keith Urban, Harry Connick, Jr. and even Ellen DeGeneres. 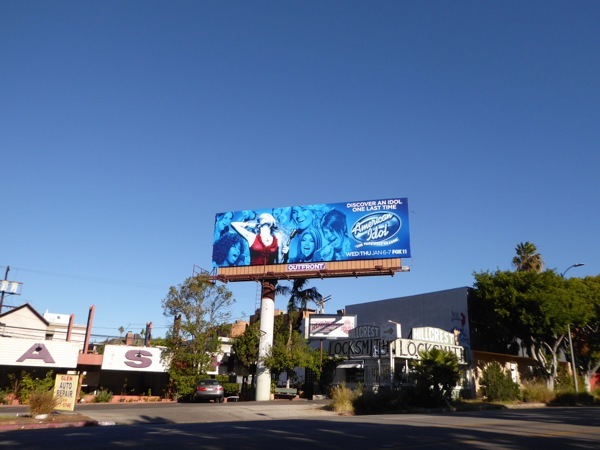 These final season billboards were spied along Pico Boulevard on December 12, 2015, and if you love the show, be sure to also check out these previous American Idol season promo billboards. 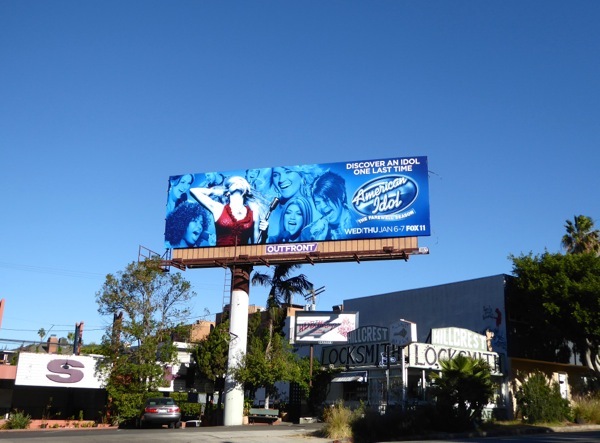 If you're a fan of singing competition shows, you can also enjoy these billboards for The Voice, billboards for The X Factor and even these Rising Star billboards. Only time (and ratings) will tell whether a star will be born, but we're sure the farewell journey hosted by Ryan Seacrest, will captivate viewers one last time.